Icecream Screen Recorder is a tool that allows you to get any part of your screen as a screenshot or in a video format. It's simple and easy to use. It comes with a complete set of tools and options that are best for professionals to capture whatever need in high quality. Additionally, it comes in handy to edit screenshot/video with drawing panel, save project history for fast access, add webcam to make recording, etc. However, a large quantity of uses who using its free version report that its records video with 5 min limits and only shows few functions. For more, you should update to its pro version. Notably, no matter which one you use, its supported output formats are limited. Therefore, Icecream Screen Recorder alternatives are suggested here. Joyoshare Screen Recorder is a comparable software that be listed here as one alternative to Icecream Screen Recorder. As its name implies, any onscreen videos and audios can be recorded without time limit, including Ted Talk, Facebook chats, Google Hangouts, streaming movies, online gameplay, class lecture, podcasts, microphone sound, system audio, etc. Besides, Joyoshare Screen Recorder is rich in features. It helps convert video to any format you want, such as MP4, MOV, AVI, M4V, MKV, ASF, WebM, FLV, HD MPG, etc. Or you can transfer what you capture to iPhone, iPad, Huawei, PSP, Xbox 360, Sony TV and so on. 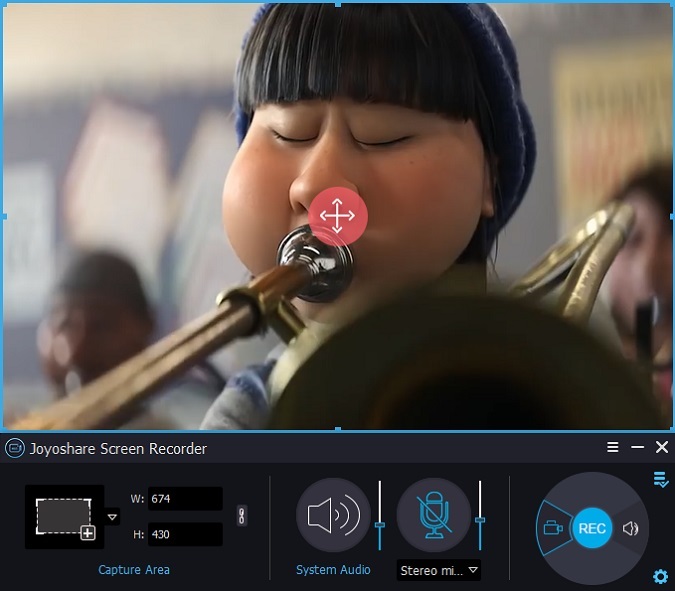 Best of all, with it, you can record video in full screen or customized size, set shortcuts in personalized way and specify configurations (codec, bit rate, resolution, etc.) at discretion. You're also allowed to add image watermark, create recording task, spotlight cursor movements, edit finished video, etc. Open Broadcaster Software is a free and open source, known as OBS Studio, is another reputable Icecream Screen Recorder alternative. You can use it for recording videos and streaming. It comes free and if you use social media streaming video content widely, this software is the best. You can make your video live on multiple social media sites. It has highly advantageous. The best thing is that you can present your pre-recorded videos as streaming live and you can show the various screens in the videos; you can change them as you wish when they're streaming live. 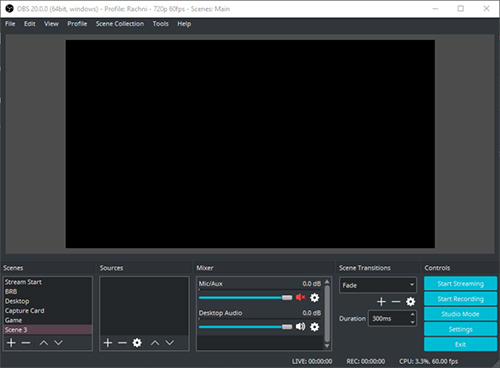 Open Broadcaster Software has multiple features include GPU capture, compatibility with microphones & cameras and can show automatic streaming to the device of your choice. You can add your own brand to the presentation as well. 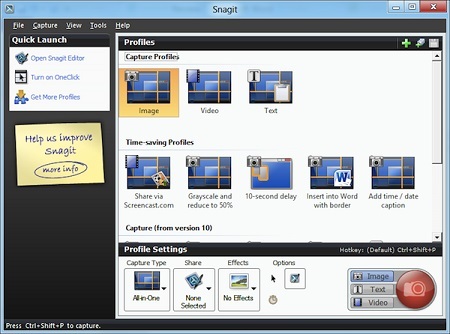 One of the best alternatives to Icecream Screen Recorder, Snagit, can enable capturing videos display and audios. Thanks to its top quality features in capturing videos and editing, it's a top-notch software for screenshot capturing. Furthermore, it is simple and easy to use. It works for capturing images, video games, video clips and has a good number of tools to modify content as per your plan. You can save images in PNG, JPG, GIF and PDF format. It more enables you to access all the features fast with the toolbar and record screen without affecting the quality of your PC functionality. Made and published by TechSmith, Camtasia Studio is a software program that is ideal for making video tutorials, presentations using screencast or through direct recording plugin connecting MS PowerPoint. It has ability to create professional-looking videos. Using its editing feature, you can create high-quality videos. You can just drag and drop shapes, icons, texts, clips and the like. It's also backgrounds with animation that you can use. Thus, it helps you make training, marketing and educational videos. The songs included are royalty-free. So there is no problem of copyright violation when you use any of the work on the web. You can make videos for various purposes. The editing suite is free. Quality add-ons and other great features make it great among Icecream Screen Recorder alternatives. 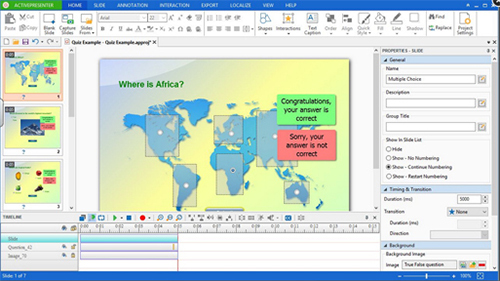 ActivePresenter is a tool for screen recording and screencast. It's an ideal tool for creating demonstration, quizzes and software simulation. If you wish to use it for creating e-learning videos, ActivePresenter enables packing exported materials into xAPI or SCORM. It features different export options including PNG & JPEG, PDFs, HTML slideshows, MS Excel, MS Word, MS PP presentations. It can enable creating interactive simulations and has diverse video export options including MP4, AVI, WebM and WMV. Other than that, it is able to edit videos and audios in dedicated manner. You can cut, join, crop, modify the volume, speed the audio/video up/down, make the images blurred, add captions, zoom and pan. It's easy to export your output to video format that you like. 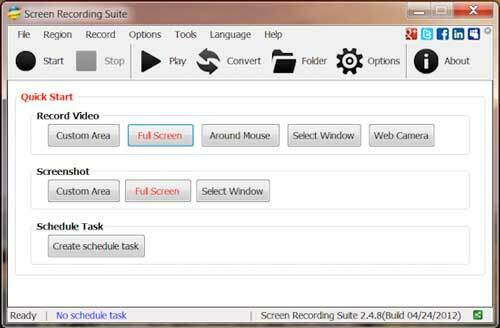 A great screen recording software, Screen Recording Suite, can record from different sources even from your own device and from the outside devices like musical and microphone. 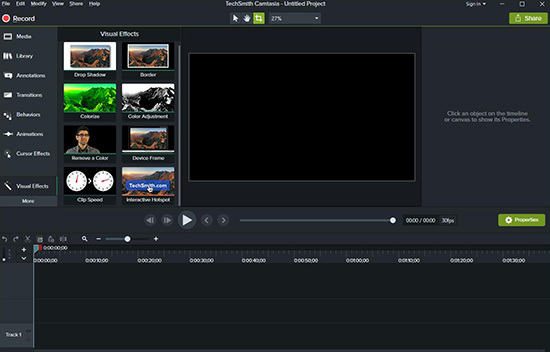 The built-in video editing tool enables cropping, converting, trimming, and compressing videos and the output into various formats including MKV, AVI, SWF, MP4, 3GP and FLV and the like. Better yet, it's good for creating training and tutorial videos and supports external and internal audio sources. 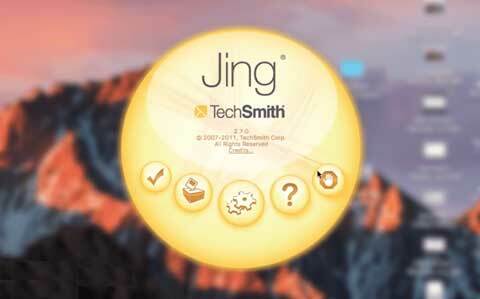 Jing takes the picture or video of your computer screen and uploads it to the Internet, computer, clipboard or FTP. It makes it easy and simple for you to capture images and videos on your computer screen. It also lets you share them with all. Jing comes with a blend of features that will enable focusing on a certain area of the screen that you want to capture. Once it's done, you can opt for capturing an image or video. The history feature is great and shows captures that have been made recently as thumbnails. You open them when you double click them. Of course, you must log not screencast to enable it. It's the best tool for making basic captures and screencasts. Choose it as one dependable alternative to Icecream Screen Recorder. Thus, there are multiple options available when it comes to choose Icecream Screen Recorder alternatives. Which one you are going to select depends on the purpose of the recording as well as budget. If you wish to use free software, OBS, ActivePresenter and Jing can be considered. If you're looking for an economical yet worthy option, Joyoshare Screen Recorder is the best one. Or the one who is not concerned with the budget can go for Camtasia Studio. Remember to have a further check for the one you appreciate.